We are very happy to present our latest development, the ingenious Criss-cross bra. With this bra you can wear low back dresses and still feel absolutely secure and comfortable. It is suitable for low back dresses, halterneck dresses and dresses with exposed shoulders, where a normal bra can not be used. You can wear it in 3 different ways: For low back dresses, for halterneck dresses and for dresses with exposed shoulders. 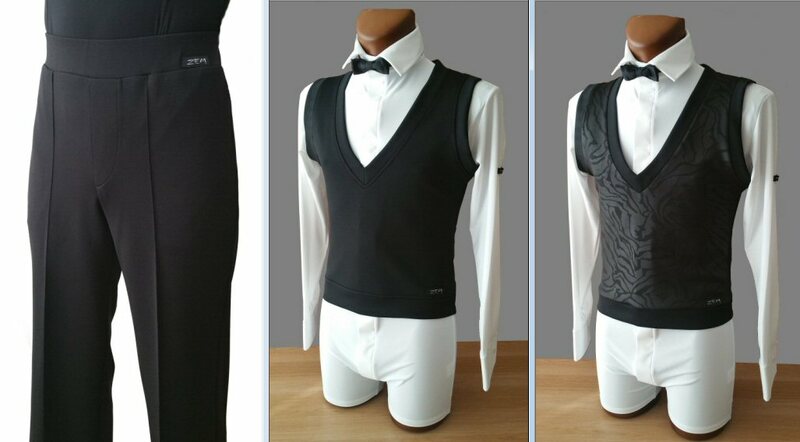 Following the success of our Heavenly stretchy practice trousers and responding to popular demand we now offer Heavenly stretchy practice waistcoat made in the same fabric , Heavenly stretchy waistcoat in Pattern edition and Heavenly stretchy trousers for boys in waist sizes smaller than 28". Is it a Jacket or is it a Shirt? 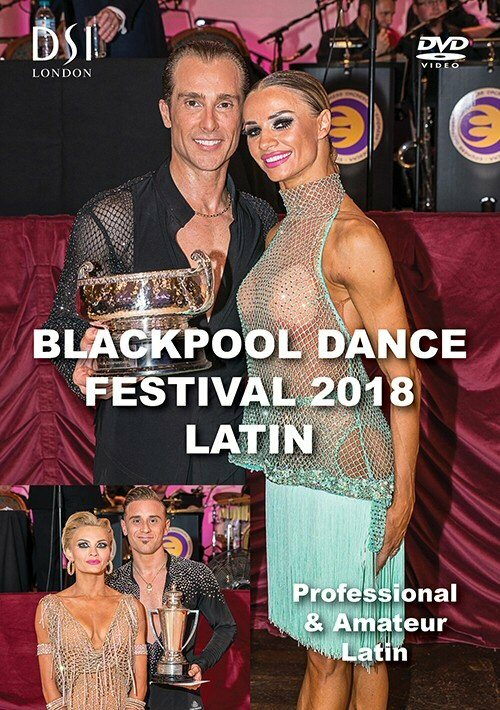 The 2018 Blackpool Dance Festival Professional and Amateur Ballroom as well as Professional and Amateur Latin DVDs are just about to be released ! There is also BDF International Congress , set of 5 DVDs with lectures by the World's leading Dance Coaches (already in stock). Have a look. 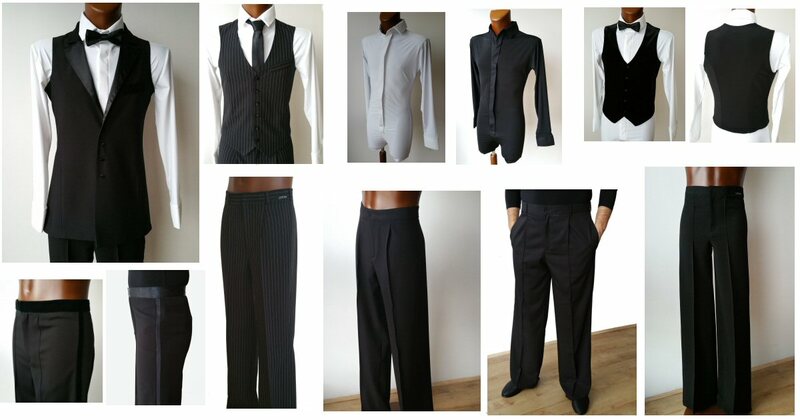 Boys competition shirts and trousers now available from stock! 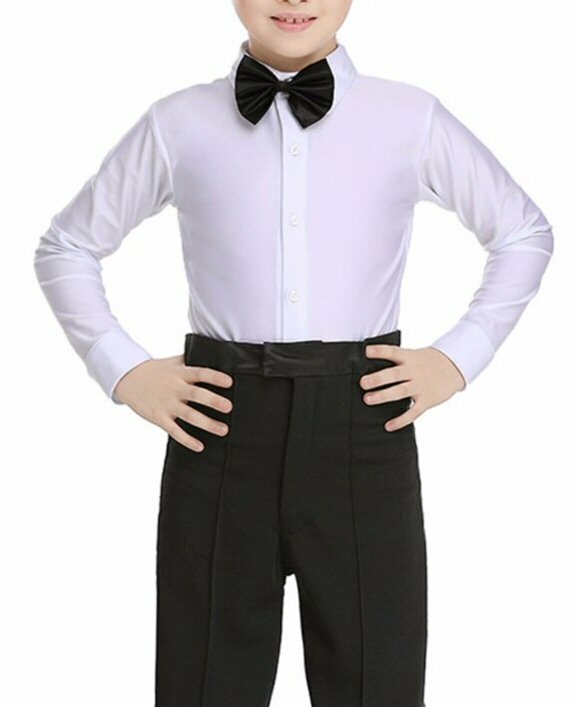 We are pleased to announce our new range of Boys dancewear: Competition shirts with Zip or Buttons in collar sizes 11.5" 12" 12.5" 13" 13.5" 14" and Boys Trousers in waist sizes 22" 23" 24" 25" 26" 27" now in stock. We will make efforts never to run out of stock.